ok, y'all are going to die when you see what all the winner of this giveaway will win! sandy is such a dear. i've been a long time fan of her blog and i love emailing/tweeting back & forth with her. she is so creative, such a sweet person, and is always super encouraging. what else could you ask for? wellllll she recently opened up shop on etsy and let me just tell you that her shop is FULL of cute hairpins, earrings, and a new product, passport covers! i need one of these! here's what she is giving away to one of YOU lucky readers. bunting flags (!!!! ), bunting notecard set, and a sweet set of her floral bobby pins! ALL OF IT! in the words of napoleon dynamite, "luckyyyyyy"
1. head on over to sandy a la mode & leave a comment with your favorite item from the shop. I love the cameo set! the my fair lady hair pin & cameo set is mah FAVORITE!! I love the blushing olive passport cover. Just got my passport so it would be perfect! Loving the my fair lady cameo set!! I love the cameo and the harmony set!!! Oooo! I LOVE SANDY!!!! I LOVE her bobby pins (just recently recieved a pair from her when we had a blogger meet up) and her passport covers are too freakin' cute! I love the grapefruit earrings. I'm asking for them for xmas! My favorite is the mango, raspberry, grape sorbet trio of hairpins...love the colors! I am LOVING the "rainy days" passport cover with the bow! I desperately need (or want, rather) one! wanna eat the rainbow sherbert bobby pins! i want one of the passport covers! they are the most adorable things ever. love sandy and love her shop!!! love the "take me to the beach" bobbies! i love the aquamarine bobbies. my daughter who is 2 and i can share these! Hi! ::waves:: I'm a new follower! "take me to the beach - three mum hairpins"
i am LOVING the pastel bunting cards!!! My favorites are her flower bouqet earrings and the bunting cards!! i love all pennant things! and she has the cutest pins! i tweeted!! let's be friends!! my favorite item is the autumn kisses passport cover <3 so adorable!!! I love the autumn harvest hairpins! You have some awesome giveaways! 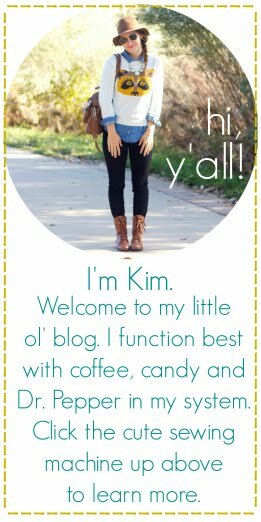 I'm home sick today, so I'm having fun jumping on your blog and checking out what is new. It makes the day go faster. I love the take me to the beach hair pins. I love her stuff! She seriously is so sweet, huh?! I like her. how the heck am i supposed to decide?! i love everything!!!! those floral hair pins are "da bomb." I adore the Autumn kisses passport cover with bow! It's precious! The My Fair Lady hairpin and cameo pin set is classic and so chic! I don't have a passport, but if I did I would totally want the autumn kisses passport cover with bow! I also like the aquamarine 'n cream - two flower hairpin set. Those sorbet trio of hairpins are wonderful... I'd love them! My favorite thing is what she is giving away! I LOVE fabric bunting!! The harvest pins are adorable! I simply adore the pear, kiwi and peach sorbet trio!! So yummy! The tropical mum hair pins are too cute! I love the chrysanthemum hairpins. LOVE Sandy's shop! I think the pink passion martini hair pins are my current favorite. Loooooooove Sandy and her blog and her Etsy! I love the pear, kiwi and peach sorbet hairpins but take me to the beach is a VERY close second!! What a fabulous giveaway!! :) I adore the autumn harvest hairpins- great colors!! Crossing my fingers! love the bunting thank you cards and the take me to the beach mum hair pins! I'm a big sandy a la mode fan! I love her bunting banners! Eeek fingers crossed! I tweeted about this giveaway! Fingers and toes crossed! ...love the autumn harvest hair pins! The passport covers are such a great idea and they are super cute! love the pink grapefruit large mum earrings! the autumn harvest bobby pins! i love the lotus stud earrings... so cute! I'm thinking my passport would look adorable in one of her covers! 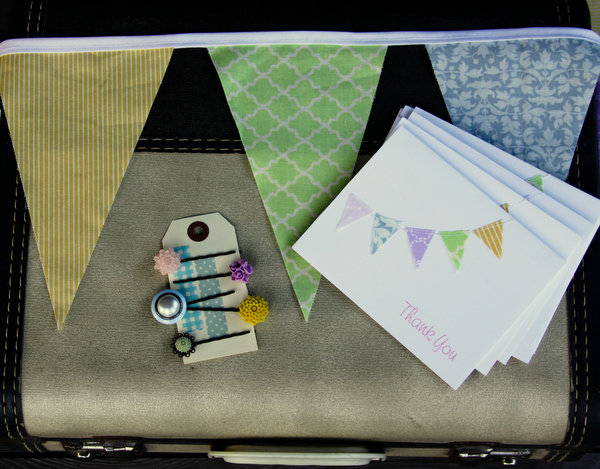 The bunting note cards are super cute! 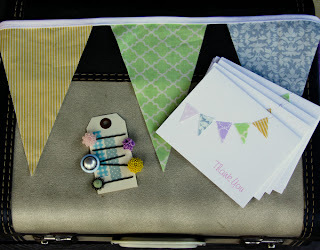 oh my goodness, I love the bunting flag notecards! everything is just precious! Not that I'm travelling anytime soon, but I love her passport covers! I love the floral pins! 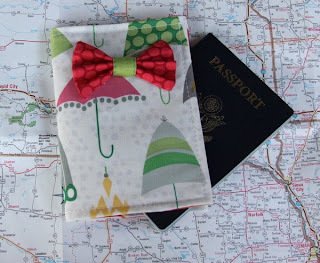 I LOVE the blushing olive passport cover with bow! You know what it is... I travel EVERYWHERE (Thank you USAF) so it would be PERFECT to travel in fashion! The "lemon lime" hairpins are too cute! how can I pick?! they're all so cute! i choose the cards! love it! I reeeeally want the peach bud hair pins! Wonderful shop! Adore the bunting! My favorite are the purple lotus stud earrings! 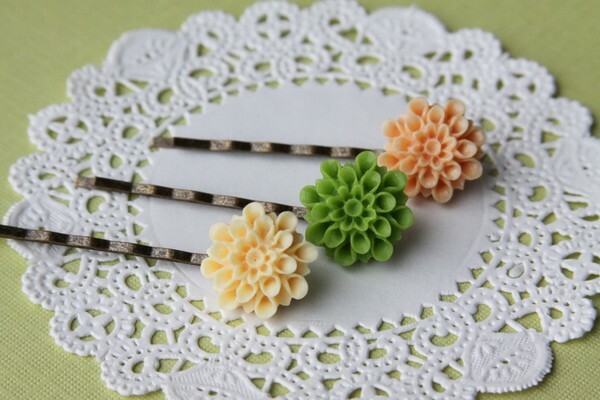 ADORE the flower hairpins in all the lovely colors! my favourite from this shop is the pretty peach rose earrings. so pretty. I love love love the passport cover!! Hope I win! love the take me to the beach hairpins! I love the Autumn Harvest Hair Pins! the autumn harvest hair pins! ANY of her hair pins would make me smile! yes please! I love Sandy’s tropical punch hair pins. So pretty! I think the lavender and vanilla hairpins are so elegant! i just love all the dainty hairpins! all so sweet! Hi there!! I hope I'm not too late to enter. :) I love Sandy.. she's awesome.. and have been following her for a while now. Definitely a sweetheart. My fav item from her shop is the set pf four pastel bunting cards. So fun. I'll be crossing my fingers and toes! Can't wait to see who wins. Love the passport covers with their cute little bows!! absolutely love the blushing olive passport cover! so. pretty. love the rainbow sherbet four lotus hairpins. Ewwww!!! I love hairpins...wear them allllll the time! I love the "take me to the beach-3 mums hairpins"!!! but everything is super cute!!! my favorite are the pretty peach rose earrings! It's because of Sandy a La Mode, that I heard of your blog! I'm so glad she opened up her own Etsy store! I've always eyed her lemon lime hair pins - they'll cheer up any hair do!